This is Jimmy our clinic cat who has been with us 15+ years after being handed in as a stray kitten. 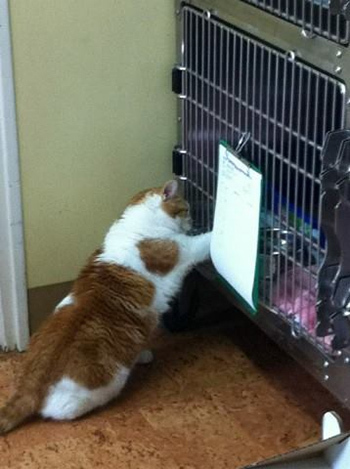 Many of you will be familiar with seeing our large ginger cat checking out the patients. Unfortunately he will never be a slim Jim as he has worked out how to supplement his meals from hospital cages!! !